Biomerieux Vitek 2 Microbial Analyzing System . New Life Scientific, Inc. 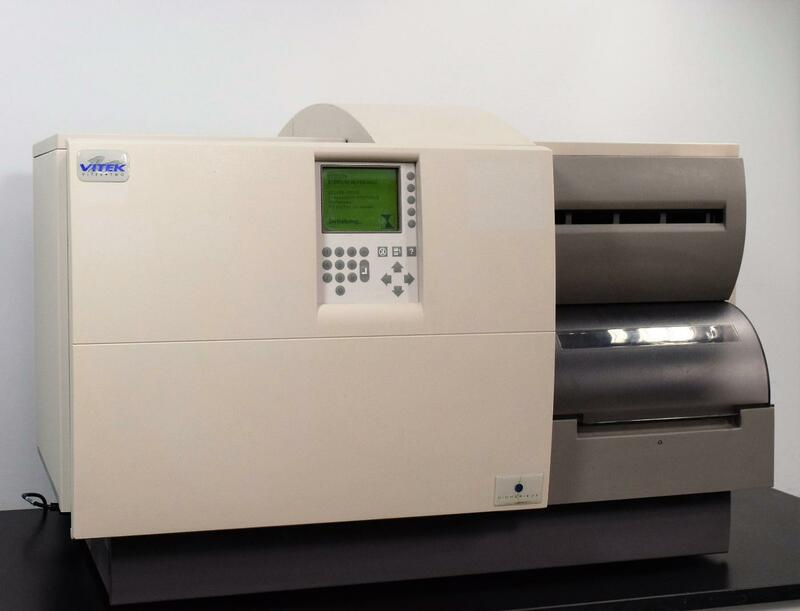 The Vitek 2 has everything healthcare laboratories need for fast, accurate microbial identification, and antibiotic susceptibility testing. This automated system can give you peace of mind and increased confidence with AES, the only second-generation expert system available for antibiotic susceptibility testing. Biomerieux offers updated software that introduces new features to enhance efficiency and workflow. We realize that buying a second-hand instrument can be unnerving, therefore we offer a 90-Day Warranty to protect you against any equipment failure or defects. You can buy from us with complete confidence. Preventative maintenance should be performed, the belts could use replacing.